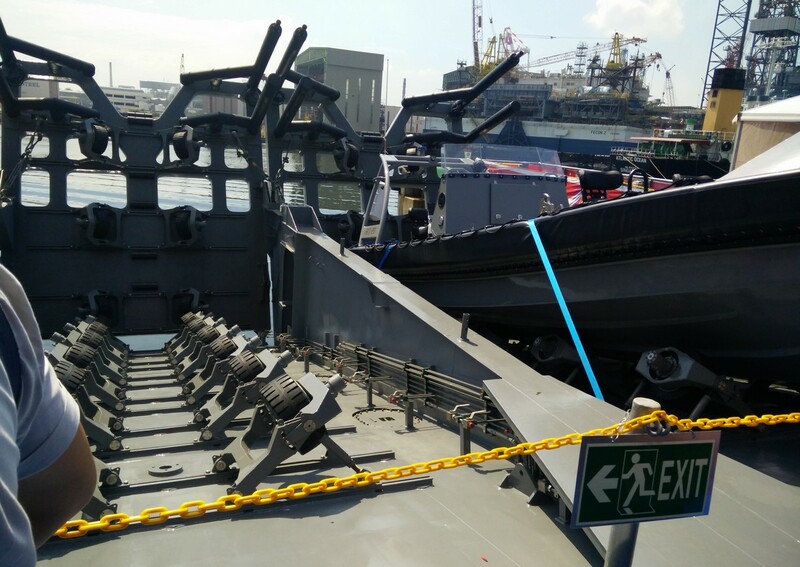 SINGAPORE - The Defence Ministry is looking into allegations made by a Netizen about Republic of Singapore Navy sailors making derogatory remarks about a Muslim colleague onboard their ship. The woman, who claims to be the girlfriend of the Chinese-Muslim navy regular, accused the sailors of using labels like "Muslim" and "terrorist" to address him, instead of his name. She also alleged that the men onboard teased her boyfriend about not eating pork. The taunts were allegedly started by a "high-ranking officer" onboard the ship, the woman claimed. It is not known when she posted the comments on her Instagram account. Her post was carried on a Malay socio-political website, www.rilek1corner.com. It also made its way into online forums and The Reservist community FaceBook page. Attempts to find the original post were not successful as it is believed it has been taken down. The woman also cannot be reached. The Defence Ministry said on its Cyberpioneer FaceBook page on Tuesday that it takes such allegations seriously as it "impacts public trust and undermines the strong public support for National Service(NS) and the SAF". "Mindef/SAF does not tolerate any discriminatory behaviour and is investigating to determine the facts of the case. "We take a serious view of the conduct of our servicemen. If any service personnel is found to have breached our Code of Conduct, disciplinary proceedings will be convened and the necessary actions will be taken," said the Cyberpioneer post. 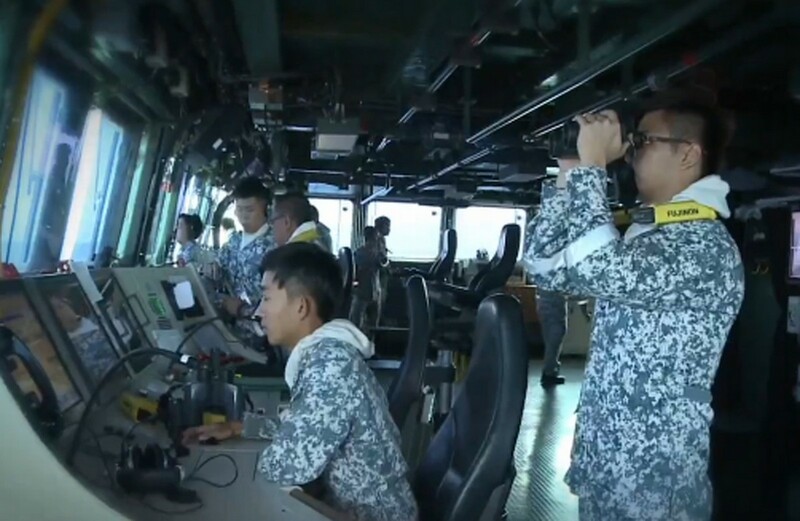 The allegations follow Defence Minister Ng Eng Hen's disclosure in February that Malays are now deployed aboard ships as sailors who go out to sea . Previously, Malays in the navy were only posted as "sea soldiers", who primarily patrolled naval bases. 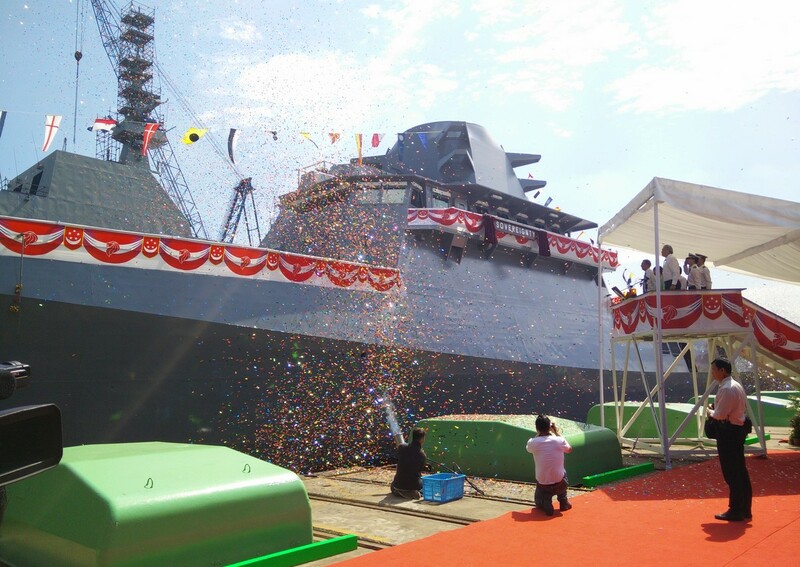 Responding to the question on why Malays had previously been excluded from the navy, Dr Ng had said that it was a "practical issue" of having halal-certified kitchens aboard ships. "(This is) because in a confined space, it is hard to have a halal kitchen. If you spend months out at sea, it is difficult." But provisions have been made for Malay Muslims who are willing to serve, said Ng. "So we made and found some accommodation and started to have Malays in the navy as well, if the person is willing." He also reiterated that Malays now serve in the army, navy and air force, adding that with Singapore's small population, the SAF does not discriminate against anyone and promotes its servicemen based on their ability. 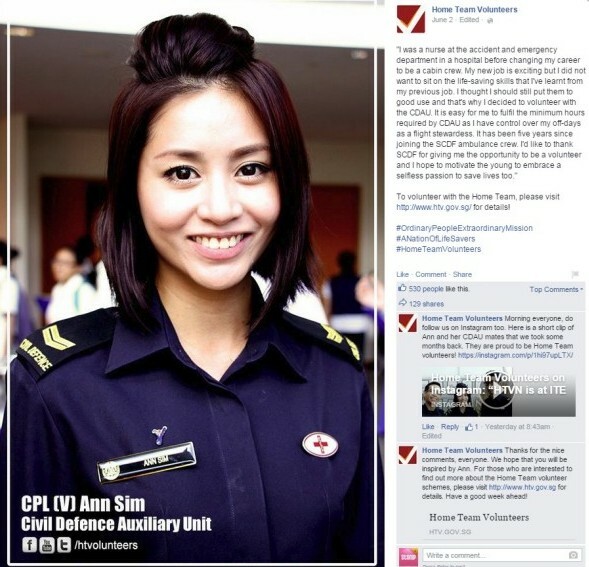 The Home Team Volunteers shared a photo of Corporal Ann Sim, a pretty volunteer with the Civil Defence Auxiliary Unit. She also happens to be an air stewardess. Netizens immediately noticed her sweet looks and charming smile, garnering the post much attention. She had previously been a nurse at the accident and emergency department in a hospital. "I did not want to sit on the life-saving skills that I've learnt from my previous job. I thought I should still put them to good use and that's why I decided to volunteer with the CDAU," she said. 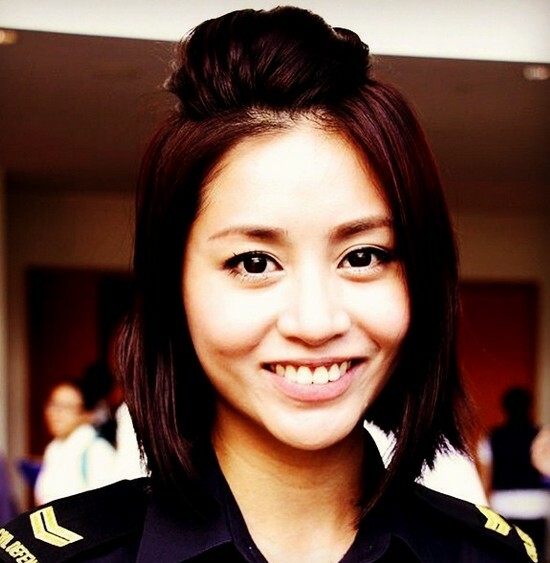 It has been five years since she joined the SCDF ambulance crew. 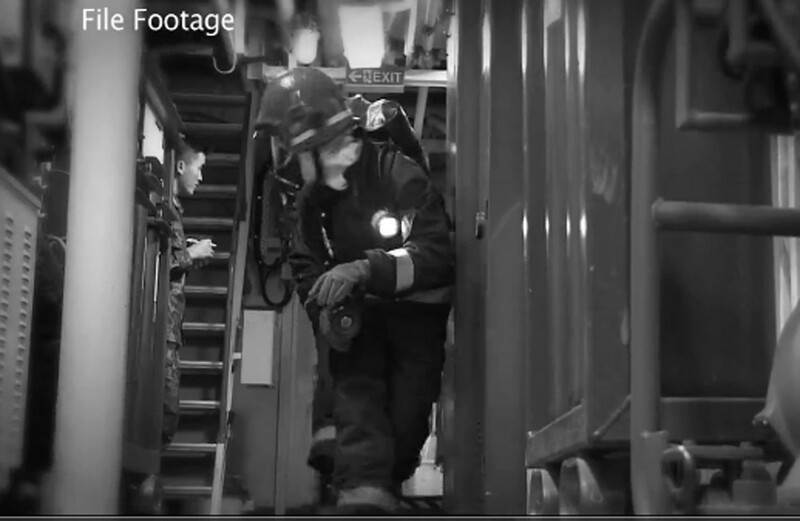 Footage of Singapore the Republic of Singapore Navy (RSN). 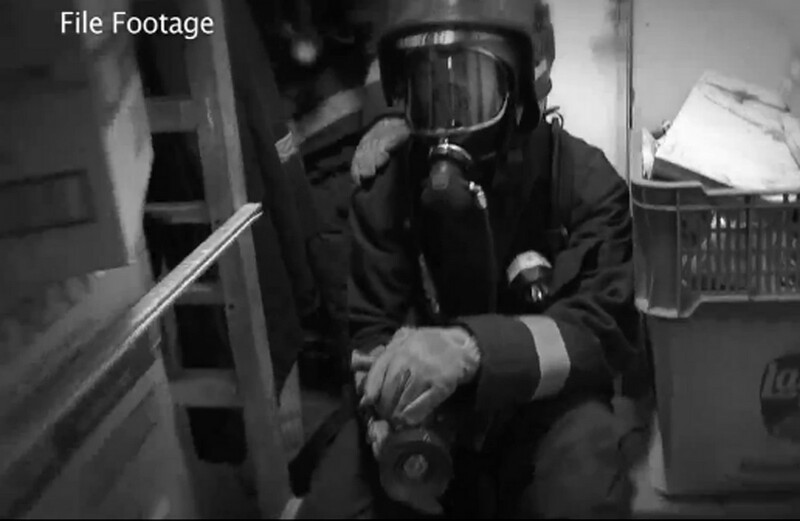 What goes on behind the scenes onboard a frigate in the Republic of Singapore Navy (RSN). 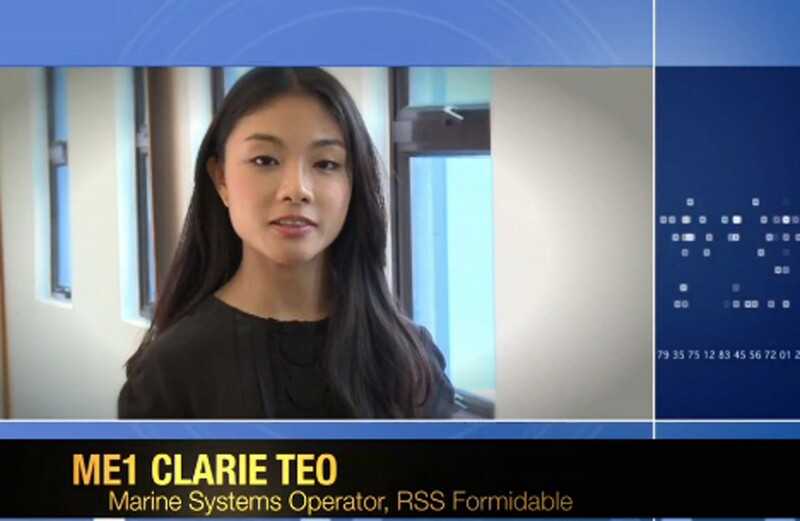 When Ms Clarie Teo first joined the Republic of Singapore Navy (RSN) as a marine systems operator, she was fresh out of her freshmen year in polytechnic, reported Cyberpioneer. 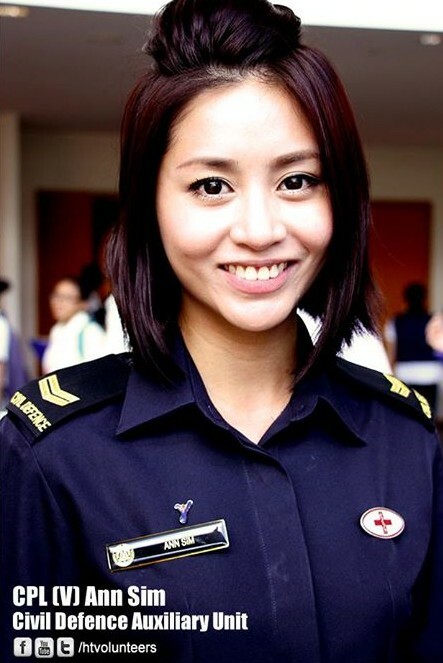 The 22-year-old had decided to pursue Marine Engineering after her O levels and applied for a career with the navy during her first year in polytechnic. This is a move that many deemed to be a sharp contrast with her convent school girl background. 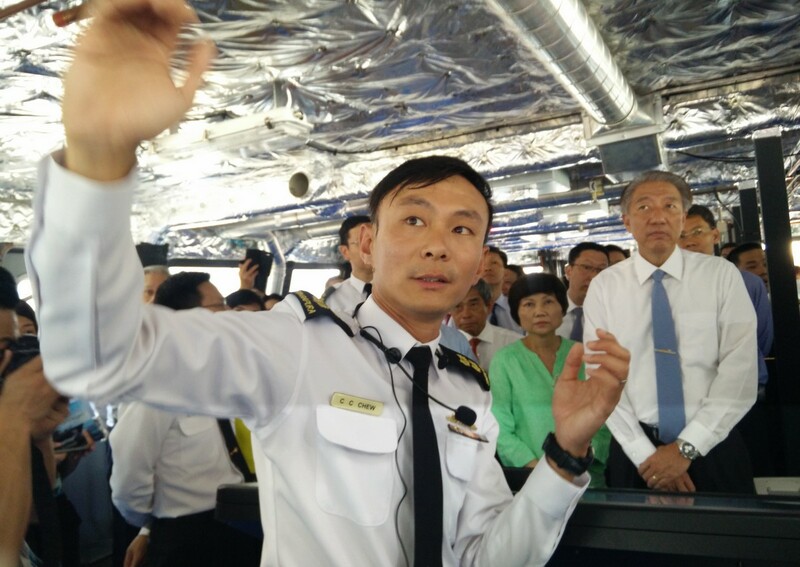 Ms Teo explained that a large part of her job entails maintaining the engine room onboard the ship. She is part of the ship's engineering team. 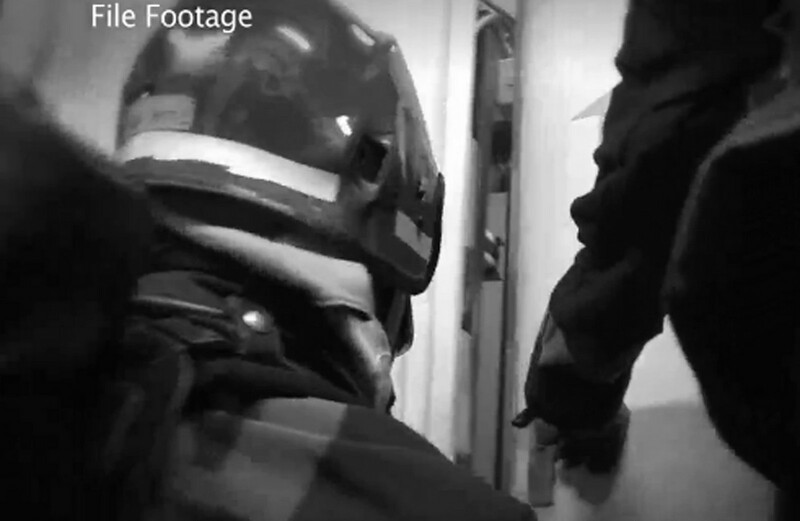 The team frequently takes part in fire drills to prepare for emergency situations. Even before Ms Teo joined the military, she was already impressed when they contacted her the week her final school examinations ended. "I got a letter asking me to report for training the very next Monday! That's how efficient the Navy can be." The Military Expert (ME) 1 sailor, who now works on board the frigate RSS Formidable. has encountered her fair share of challenges. 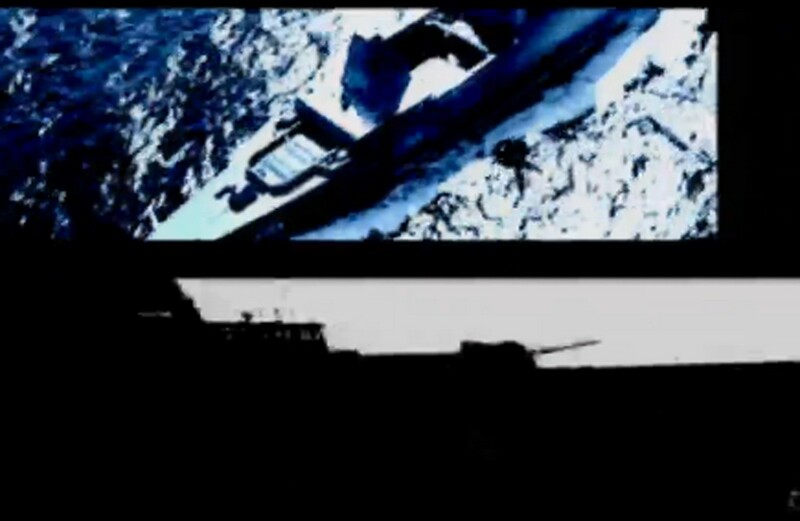 She told Cyperpionner about an incident when one of the frigate's engines heated up and had to be taken offline. 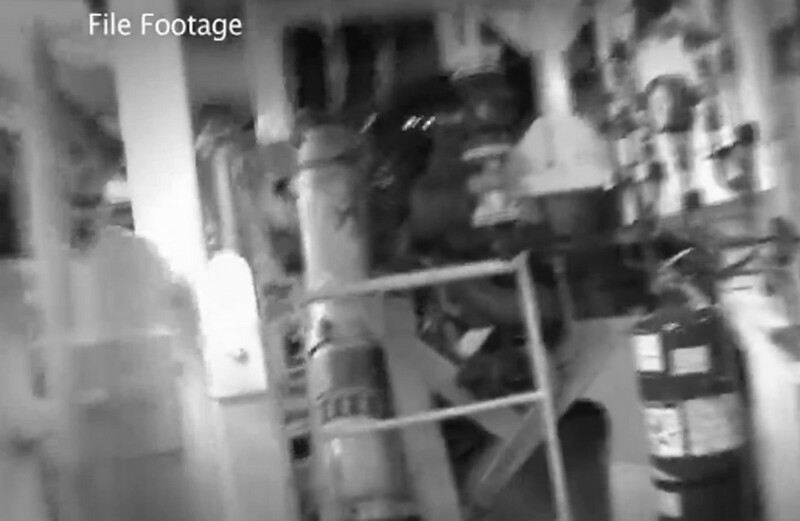 While the ship was being powered up by the remaining three engines, she and her engineering team discovered a clogged fuel filter and rectified it within an hour. 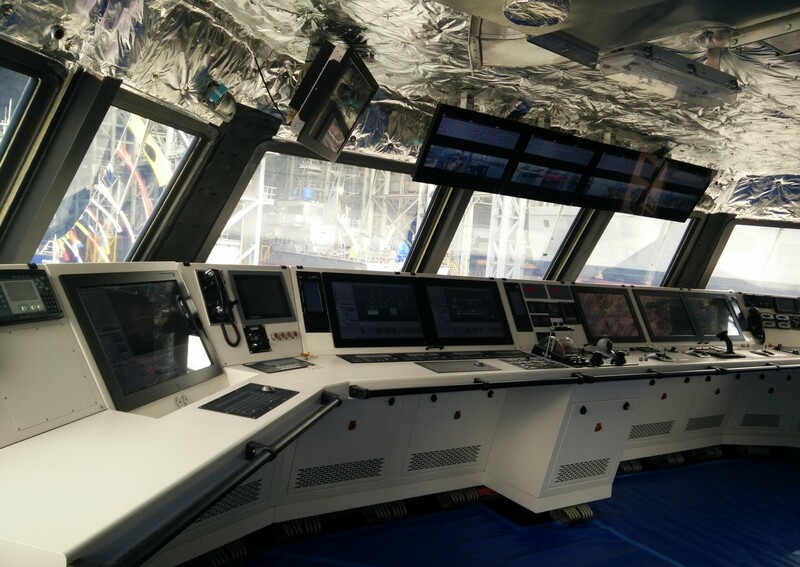 "The rest of the ship's crew was quite amazed we did it so quickly," ME1 Teo said. 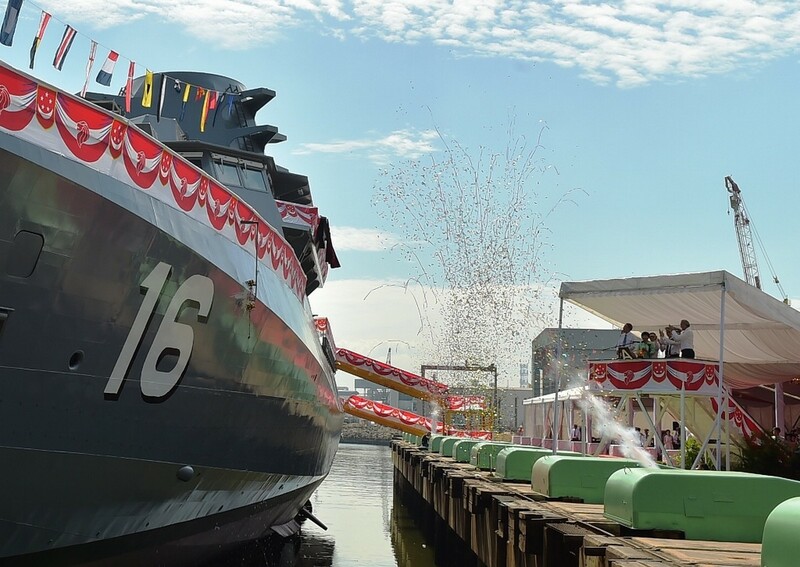 The RSN's second Littoral Mission Vessel, Sovereignty, was launched by Mrs Teo Chee Hean, wife of Deputy Prime Minister and Coordinating Minister for National Security Mr Teo Chee Hean, at the Singapore Technologies Marine’s Benoi Yard today (April 16). 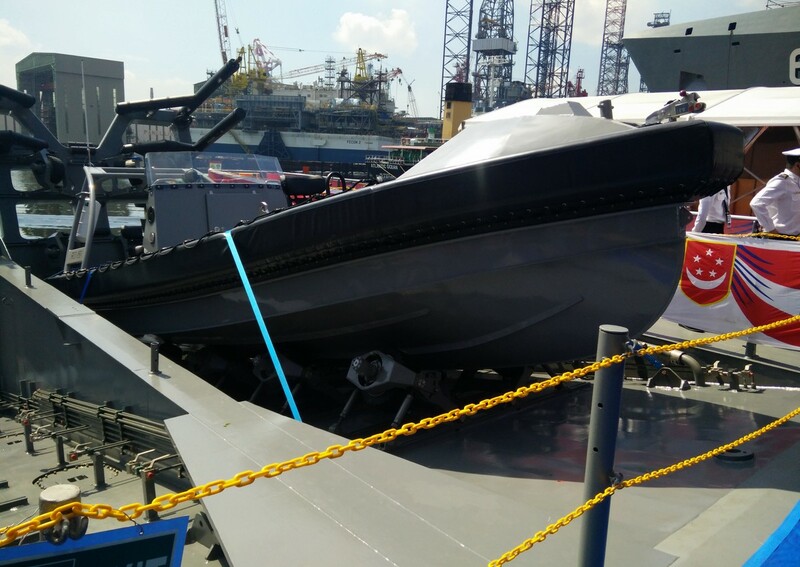 The eponymous RSS Sovereignty was a 'B' Class Patrol Craft, safeguarding Singapore's territorial waters in the 1970s. 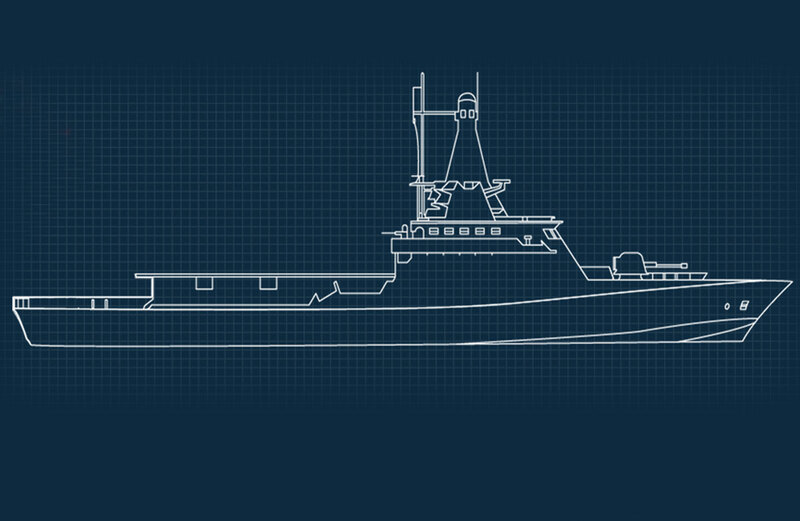 It was replaced by a Fearless-class Patrol Vessel in the 1990s. 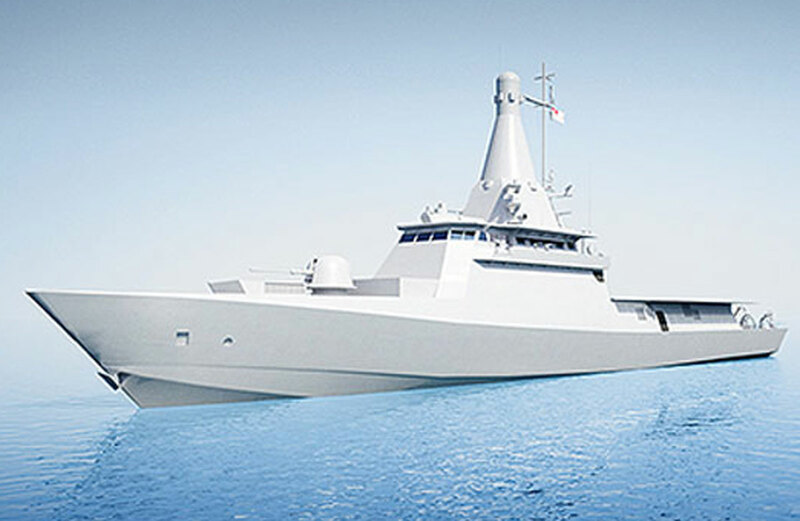 The LMVs (right) are bigger than the Fearless-class warships (middle) it will be replacing - nearly 30m longer at 80m, and 2.5 times heavier. 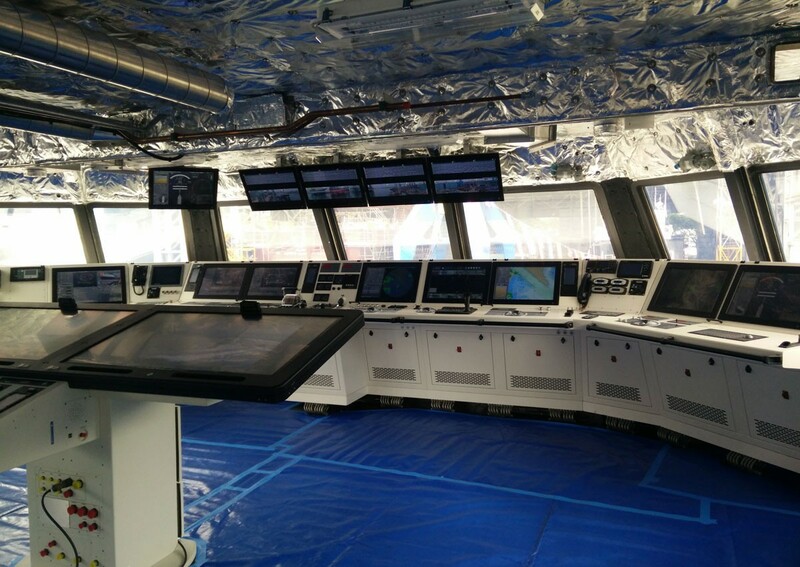 A look inside the Integrated Command Centre onboard Littoral Mission Vessel Sovereignty. 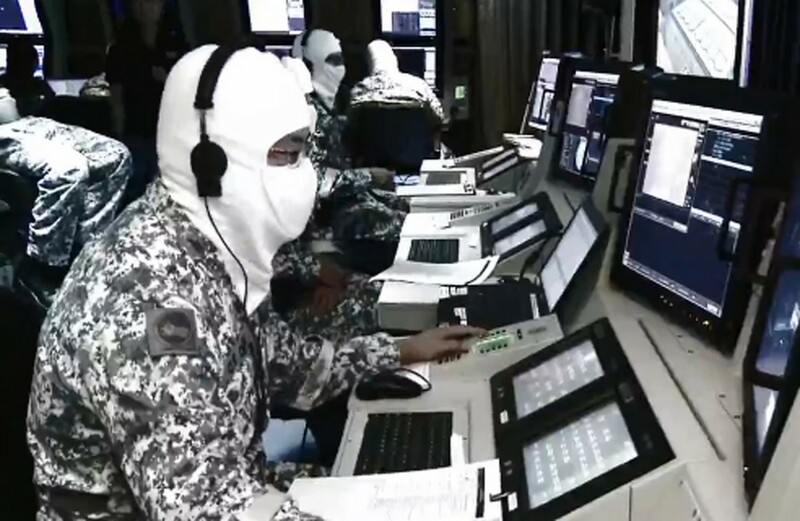 The Integrated Command Centre houses the Bridge (Navigation), Combat Information Centre (Warfare), and Machinery Control Room (Mechanical and Electrical Engineering). 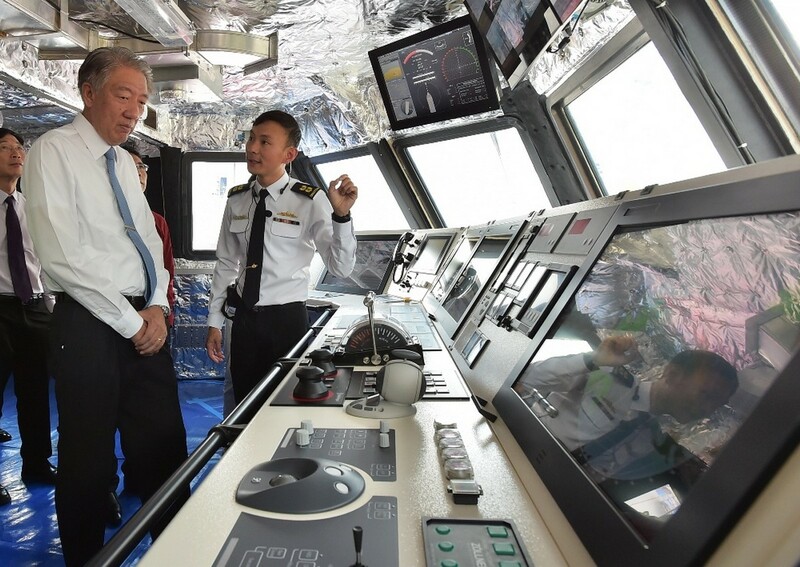 Mr Teo (left) being briefed by Lieutenant Colonel Chew Chun-Chau, Head of RSN’s LMV Project Office, during a tour of the ship’s Integrated Command Centre. 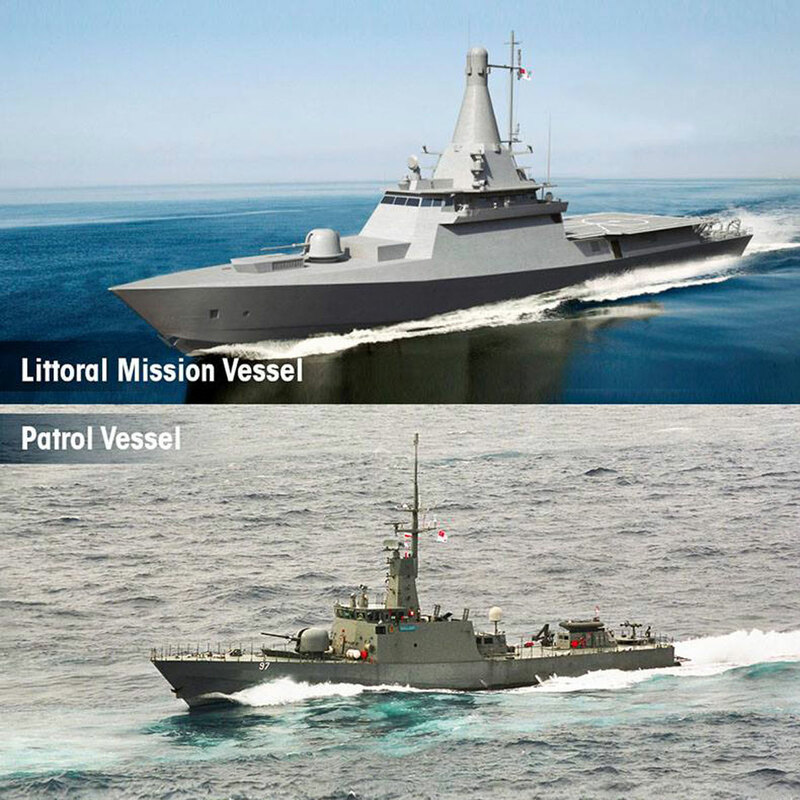 Remarkably, the two warships have been built on time and within budget, a rarity in expensive defence projects where cost overruns and delays are the norms in other militaries. 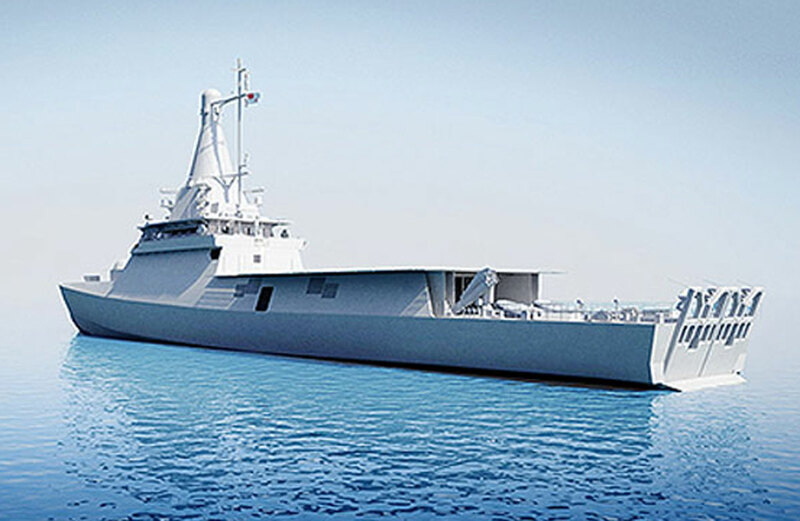 The LMVs are designed and built locally by ST Marine, in collaboration with Swedish defence giant Saab Kockums AB, after a contract was inked with Singapore's Ministry of Defence in 2013. 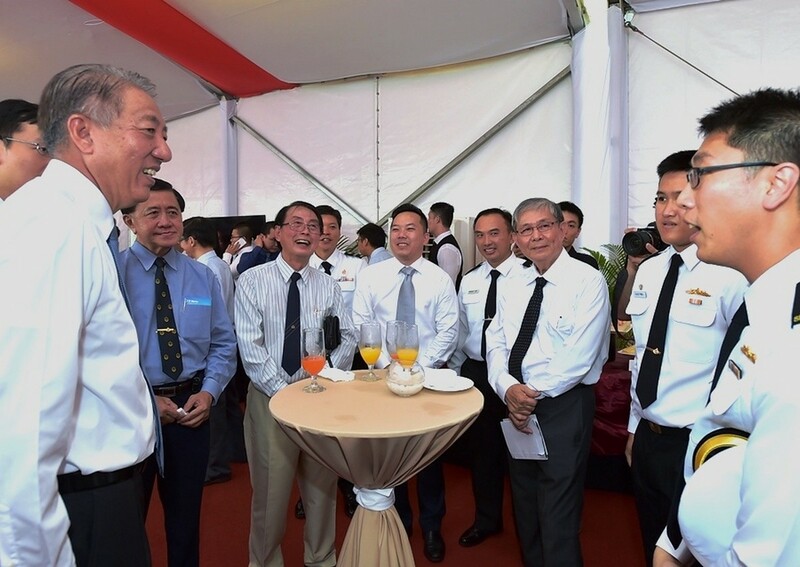 In the 1970s, Mr Teo Chee Hean was a young Naval Officer serving onboard the first of three classes of warships to be called Sovereignty. 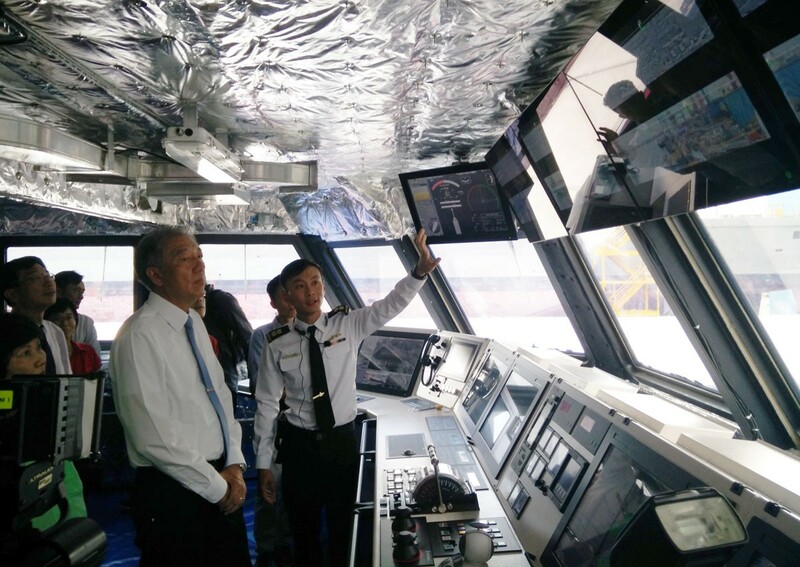 Nearly 50 years later, Mr Teo was onboard the Sovereignty again, but this time, to launch Singapore's latest warship as Deputy Prime Minister. 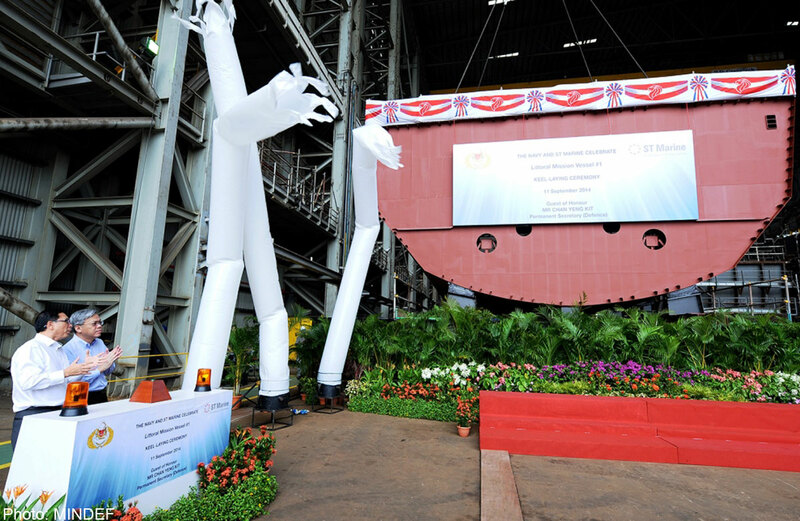 The stern of the ship where the seaboats are launched and stored. 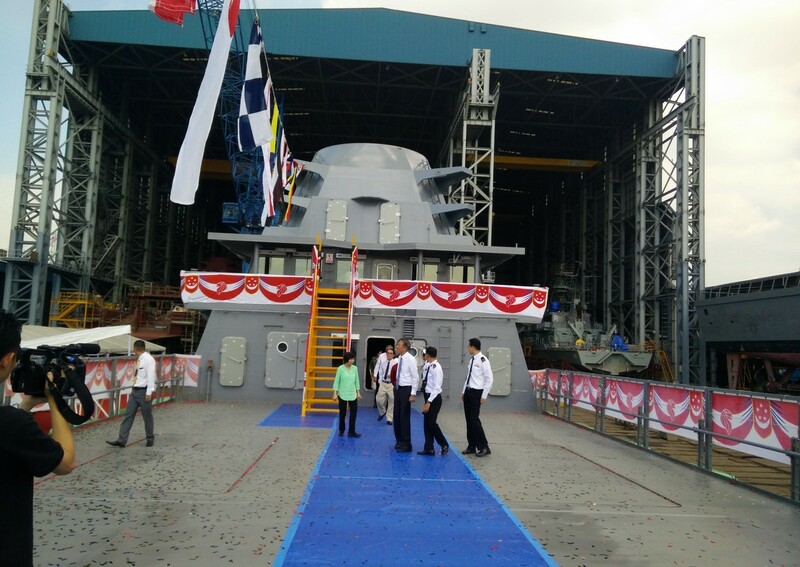 Mr Teo (far left) interacting with past and present crew of RSN’s Patrol Craft and Patrol Vessel, both named RSS Sovereignty. 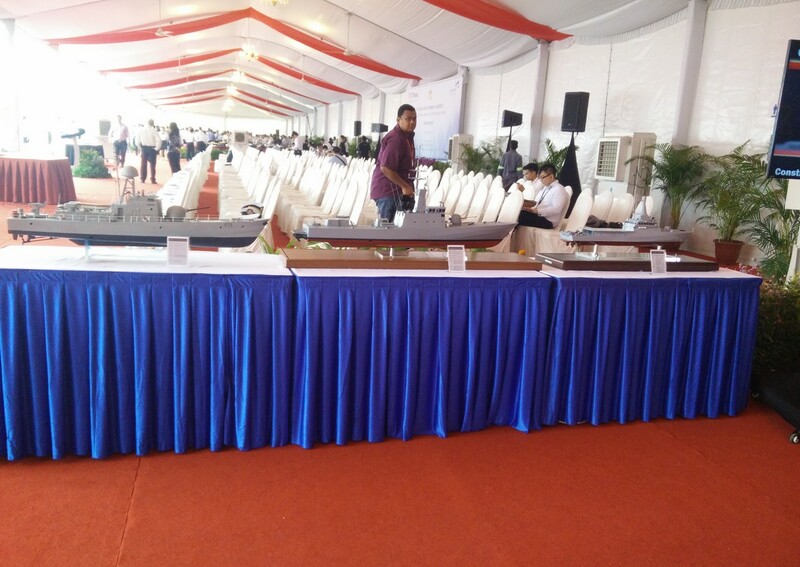 Permanent Secretary (Defence) Mr Chan Yeng Kit (right) officiating at the Keel Laying Ceremony of the RSN’s first LMV. 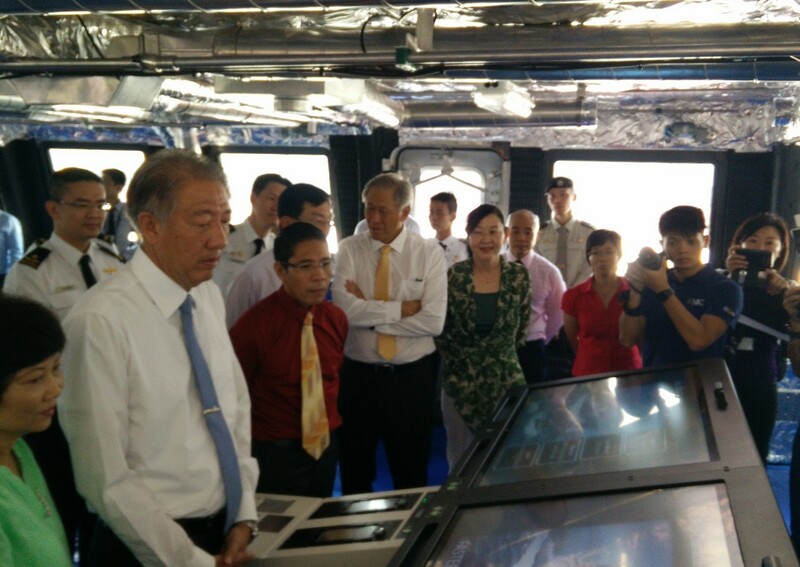 On his right was Mr Ng Sing Chan, President of ST Marine Ltd. 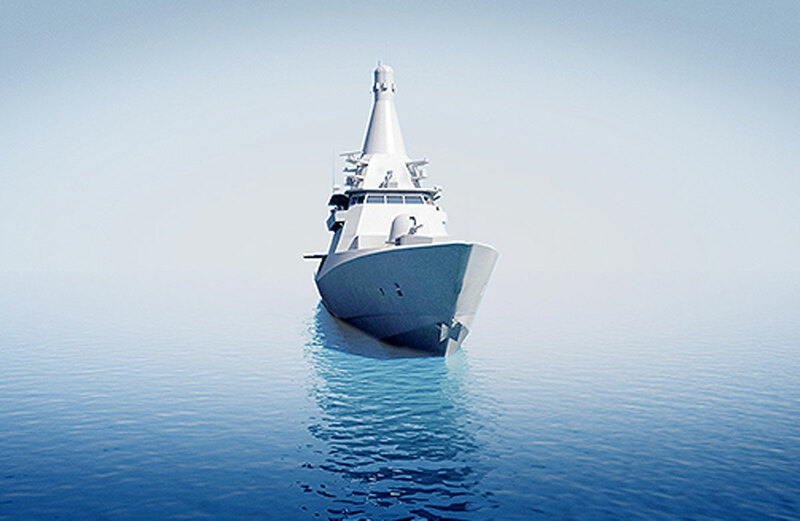 The LMVs will be able to carry out maritime security operations and safeguarding of our sea lines of communication more effectively and efficiently. 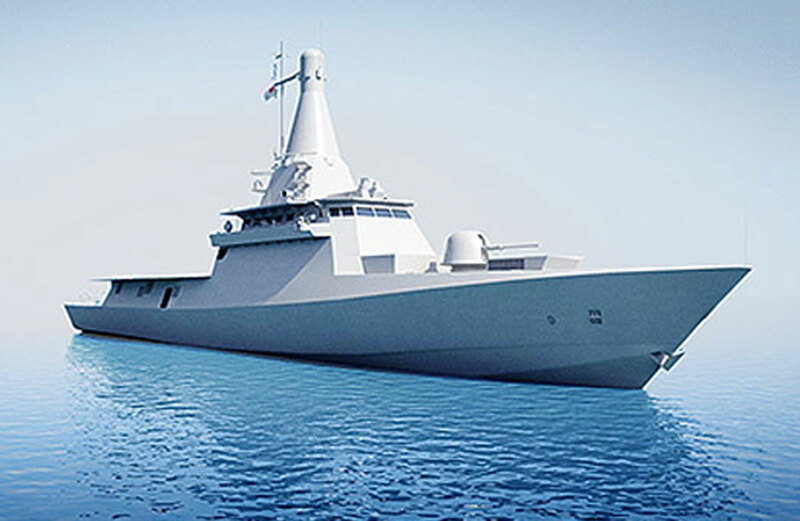 Although larger in size, the LMVs with the innovative design, will be able to operate with a leaner crew size. Adopting the concept of “mission modularity”, these vessels are highly configurable and can embark on a range of mission modules to meet the specific mission needs. 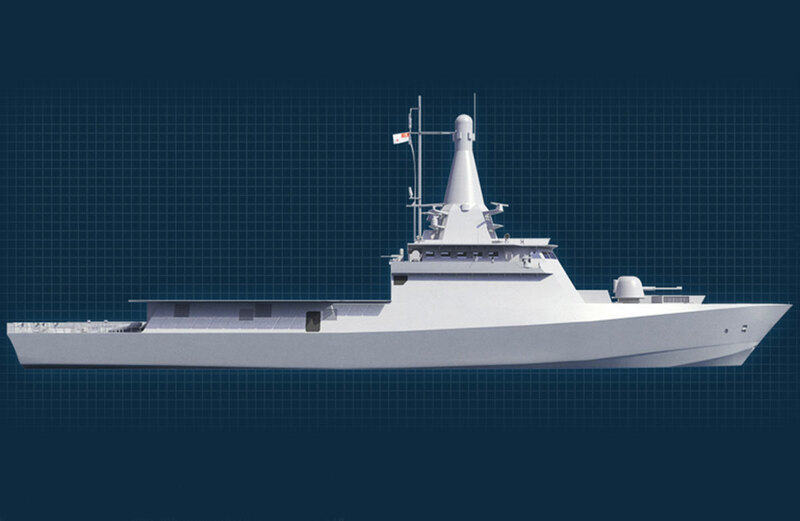 The first LMV will be delivered to the Navy in January 2016.